Without question, one of the all-time great roadside attractions in the state of Minnesota is Big Ole. 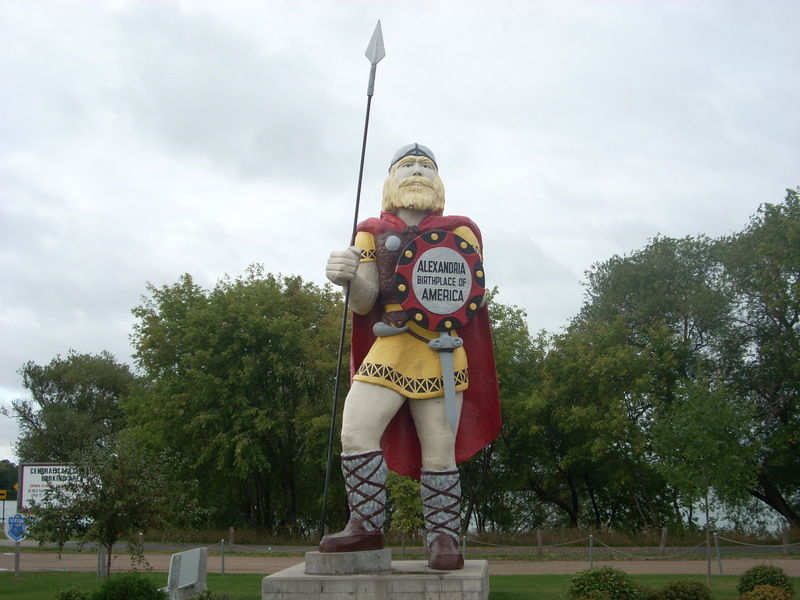 This larger-than-life Norseman statue is found right down by the lake in the tourist-friendly Alexandria, MN. Big Ole represents the Nordic history in this town’s past – the controversial claim that Vikings were exploring this area as early as the 14th century. Read more about that. Built in 1965 as an addition to the 1964-65 New York Word’s Fair by sculptor Gordon Schumaker, Big Ole has stood watch over Alexandria right in the middle of town until 2002 when he was recently moved just past downtown to a small park on a lake. 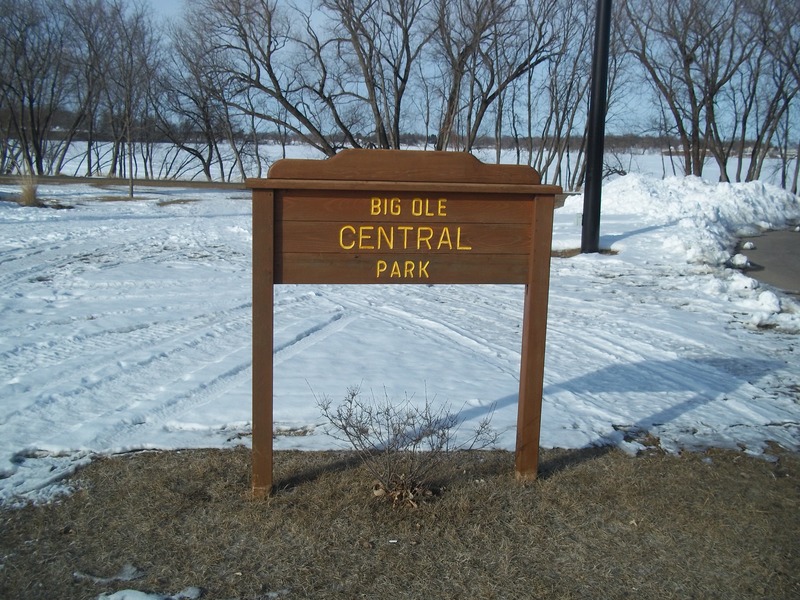 The park is appropriately named “Big Ole Central Park.” Check him out. While in the area: Lakes. Lots of lakes nearby. Lake Carlos State Park and Carlos Creek Winery are a few other options. And in winter months – Andes Tower Hills for some downhill skiing/snowboarding, and tubing. Almost as good as the real Andes Mountains! This entry was posted in Highway Highlights and tagged Alexandria, Big people, MN, Viking by Seth5544. Bookmark the permalink.